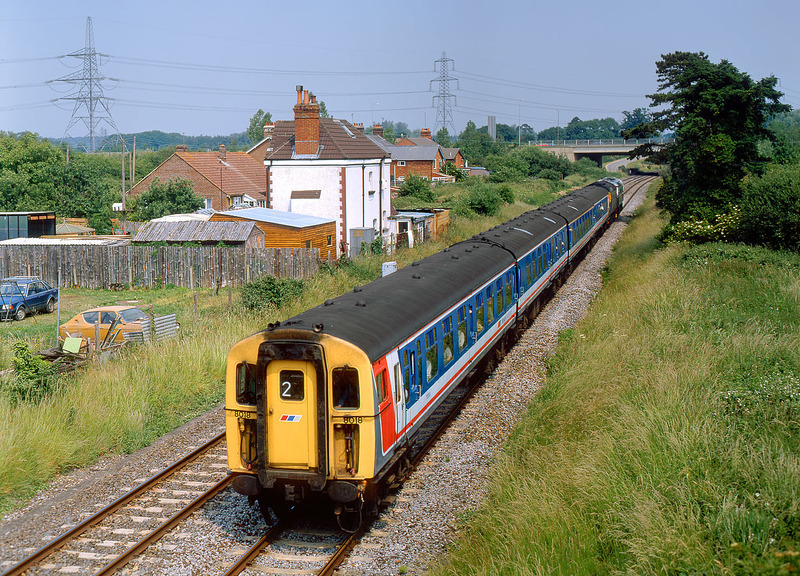 4-TC 8018 is pushed past Nursling on 17 June 1989 by 33119 & 33008 Eastleigh. This is 10:00 special from Eastleigh, one of three circular mini tours run in connection with the Eastleigh 150 celebrations. 8018 was withdrawn shortly after this picture was taken, and has since been scrapped, a fate which has presumably also befallen the cars in the field on the left!